This is a light, frothy confection of an apocalypse story, filled with soapy drama, cringe-worthy antics, and campy horror. Camp meets the occult in Laurence MacNaughton’s A Kiss Before Doomsday, the second installment in a new contemporary fantasy series. True to the series’s style, this book offers a new take on the end of the world that finds head-smacking hijinks amid high stakes. Dru Jasper, erstwhile owner of the Crystal Connection, the flagship store for Denver’s underground sorceress community, has managed to survive the fourth seal of the apocalypse, fall in love, and discover that she, too, has sorceress powers. But that was yesterday. Today, her shop’s in ruins, and she’s lost Greyson, her demon-possessed crush. She’s saved the world, but her life is looking distinctly worse for the wear. Dru is facing the loss of her livelihood, her friends’ well-meaning disbelief, a magical plague, and Titus, a once-awkward young man who’s reappeared as a self-assured sorcerer offering her a respite from her problems. The second book in its series, the novel sometimes suffers sequel torpor. In a book about facing down demons, demons emerge more from characters’ unaddressed pasts than the fifth seal’s sundering. Dru-and-company’s interpersonal dramas and interior angst create drag in a series that thrives on car chases, explosions, and occult reinterpretations of biblical apocalypse mythology. Dru is still learning to assert herself in this entry, and her growing pains are often painful. But the integration of an abandoned governmental doomsday facility and Poe’s Red Death boosts flagging tension in the back half. The pacing is on stronger footing once the characters are actively imperiled, allowing Dru to take action and, once again, save the day against all odds. Gains—magical, personal, and emotional—are slight in this second foray. 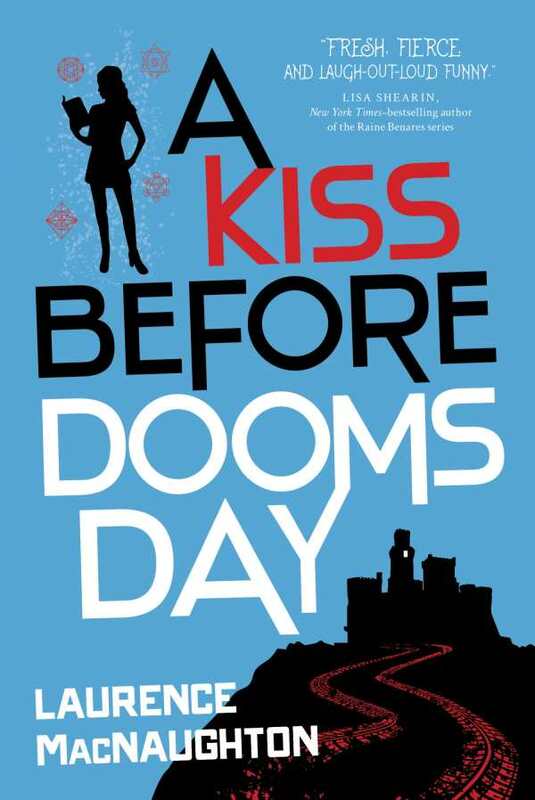 However, A Kiss Before Doomsday stays true to the series’s familiar brand, offering a light, frothy confection of an apocalypse filled with soapy drama, cringe-worthy antics, and campy horror.